Delasebure is a French brand, halfway between African tradition and European modernism. With African fabrics is at the heart of the brand’s concept, Delasebure brings a new vision of African fashion. Delasebure is very sensitive to development issues and has decided to make a modest contribution to the economic and social development of the country that inspires his creations: Burkina Faso. 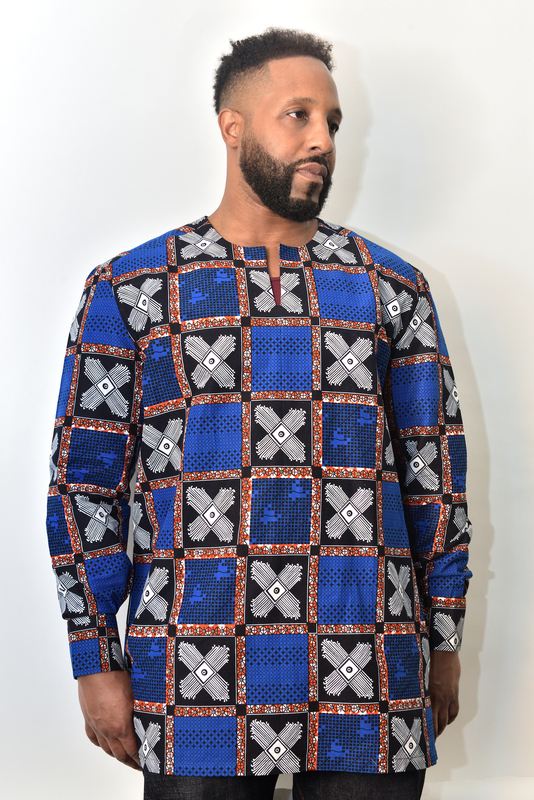 Long sleeve dashiki-style shirt in 100% cotton wax print, Hidden side zipper. Made in Burkina Faso. The model is 5’10, 220 pounds, 36waist and is wearing a XLarge.